David Cameron has urged junior doctors to call off their planned strike. He warned Tuesday’s strike will cause “real difficulties for patients and potentially worse”. The strike begins across England at 08:00 GMT, from when junior doctors will only provide emergency care. Talks between the doctors’ union – the BMA – and NHS bosses continue. 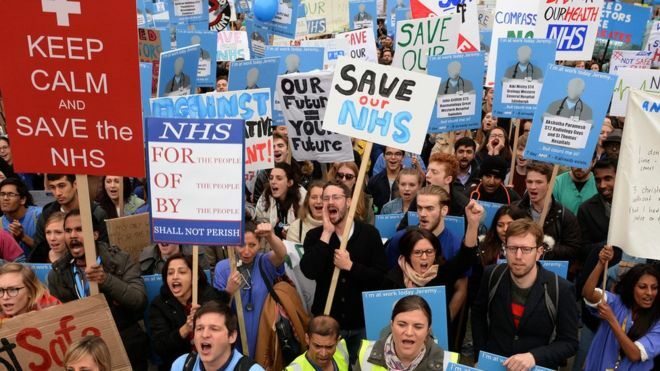 The BMA has said the strikes “demonstrated the strength of feeling amongst the profession”. Issues being disputed by the BMA and NHS include weekend pay and whether there are appropriate safeguards in place to stop hospitals over-working doctors.